It was fascinating to observe the maintenance work being performed. The ships which move are pulled around by chains and these travel along motorcycle gears and sprockets. Simple, effective, and extremely sturdy. 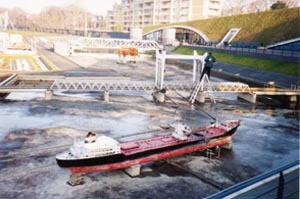 Models of traditional Dutch buildings. It is amazing how theses stand up to the weather but are also intricately detailed. 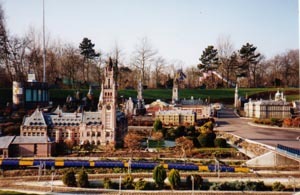 Finally, an NS train passes by the Palace of Justice in The Hague. 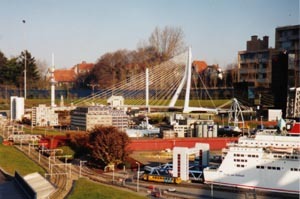 I highly recommend a trip to Madurodam and the Hague.